Wall Street, along with the financial centres in London and Hong Kong, have become algorithm trading hubs where thousands of traders employ sophisticated algorithm programs to gauge the market trends and rely on the analytical superiority of these high powered super computer programs. Algorithm trading is carried out by mathematical robots and big data crawlers that still few people actually know about. Believe it or not, algorithm trading is now done all over the globe which has led to the emergence of a new technological trend in financial industries of several developed nations. You have to admit that at times people fail to predict market volatilities, the bull and bear trends and a number of factors, which algorithm systems never overlook. At its core, algorithm trading, which can also be referred to as high frequency or HF trading, is a trading process which is conducted by highly sophisticated computer programs. These programs determine various aspects of a trade, which include critical decisions like timing, trends and prices in the market and the all the factors associated with these factors that can either affect them positively or negatively. These programs are also designed to function independently, which means they can if they choose to, execute an entire trade order without consulting the trader. Who Uses Algorithm Trading Strategies? High frequency or algorithm trading is most commonly conducted by traders belonging to mutual and pension funds and in some cases, institutional traders who aim to break down a big trade into smaller chunks solely to manage the impact and risks caused by it in the market. 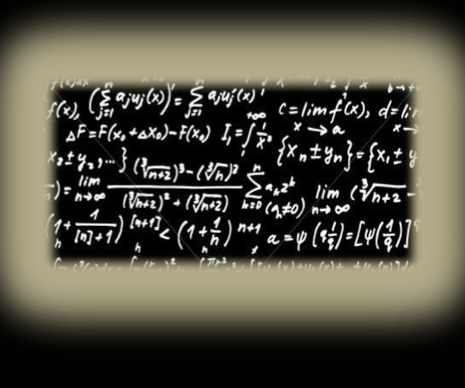 Algorithm systems are complex and are not meant for every trader. These programs are designed to search for crucial trading factors like the ups and downs in interest rates, minor fluctuation in the economy, important news and notification and a number other intricacies. They look for areas where they can mark an existing opportunity that is before anyone else can mark them. The algorithm systems which are employed in today’s trading practices have the ability to disperse massive trading orders into manageable pieces so they could be used in a multitude of regions across the world and at a speed which will remain unmatched. 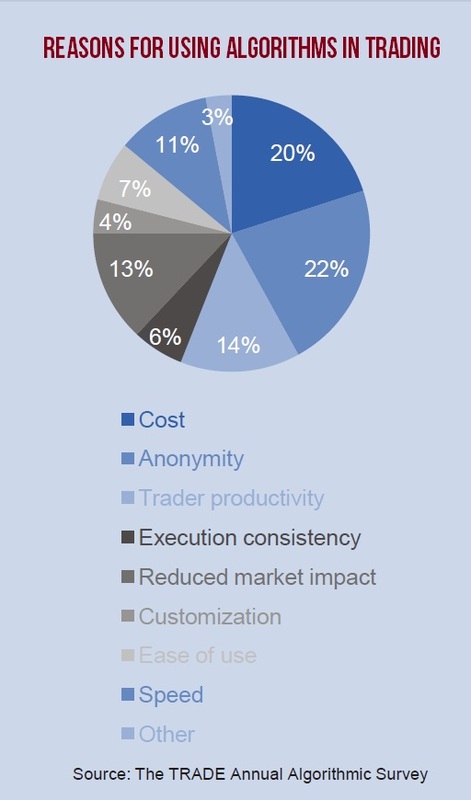 The central purpose of HF or algorithm trading is to reduce the risk involved in a trade as much as possible. They present traders with smaller deals which allow them to enter and exit the markets faster than any other trader, also allowing the HF trader to switch between different trading platforms and exchanges. Moreover, all financial markets are now operated by various sophisticated and overly complex trading technologies which have given a considerable edge to most traders. At the moment in the financial markets, top companies like Goldman Sachs, Morgan Stanley, and Citi, along with Barclays have been using some complex computer programs and big data programming in the Forex markets, which are responsible for a majority of trading in worldwide markets. According to statistics and analytical research done on high frequency trading, it has been identified that algorithm trading now accounts for 75% of all trading done in the world. And not only that, it was also discovered that market trends are established through not just the macroeconomic factors or data but they are also determined by the traders who vigorously compete against each other to see who comes out on top in terms of the fastest information processing and the most analytical business minds. These are backed by big numbers in financial algorithms which have the ability to evaluate massive amounts of data to determine top profits margins. Some of the best algorithm traders in the Forex market are interbank traders who have been incorporating algorithm trading for the past couple of years. 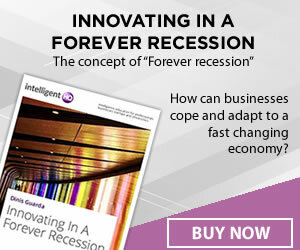 However, it is important to realize that algorithm trading has not yet put most independent trades at a disadvantage because most traders are focused on the long-term and upon witnessing the increased liquidity in the financial markets along with stability in share prices, a majority of independent traders are now seeking to integrate their trading styles and strategies with algorithm trading techniques and technologies. There are varying forms of algorithm traders. There are many HF traders who are referred to as market swingers and employ trading strategies to trade mostly on signals to create a market through the provision of securities on every side of the buy and sell trade order. Other algorithm traders use high frequency systems to try and get a fix on where the markets are headed in the short run. Irrespective of the trading strategies these HF traders use and implement, they all aim at one thing only: making massive amounts of money without increasing the risk involved in their trades. In the past five years alone, there has been a considerable rise in the number of traders using algorithm trading systems and according to a statistical analysis report published by the Aite Group LLC, a Boston based firm, it was identified that a third of all trades that were conducted in Europe and the US in 2006 were carried forward through algorithmic programs. Keeping this number in mind, you can say that 2% of 20,000 US companies use algorithm trading, especially in the equity markets. All in all, it is safe to assume there is going to be a big change in trading trends now that most independent investors and traders have seen what algorithm trading can do for them. And the sole reason for its increase in popularity is its potential for making huge profits while minimizing risk.